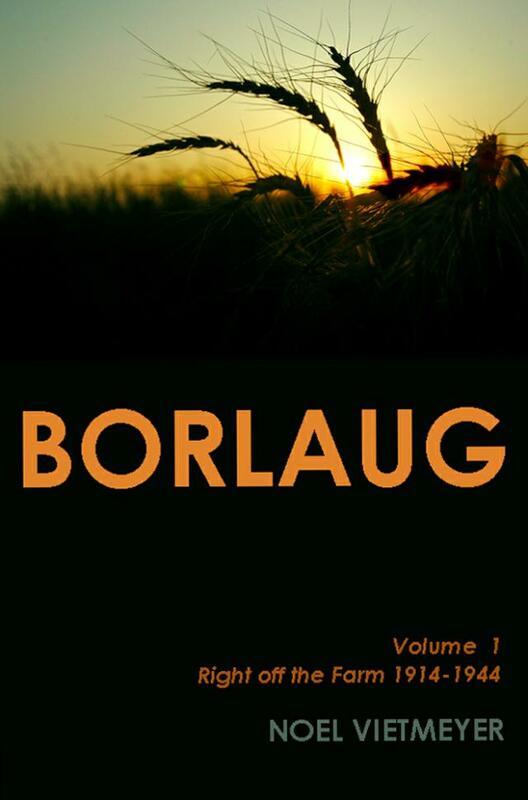 BORLAUG; Volume 1, Right off the Farm. 1914 – 1944 divulges the searing experiences that developed Norman Borlaug's dedication, drive and motivation to help the hungry. A powerful blend of biography, history, science and adventure, it relates in lively prose how young Borlaug often suffered hunger and how high-yielding seeds (corn, in this case) lifted his own family from poverty in rural Iowa. It also highlights Angels of Deliverance—most of them strangers—who selflessly interceded when his path to progress seemed forever blocked. In addition, its pages are sprinkled with surprises, coincidences, "can-do" characters and personal dramas such as during the time all Americans were forced to diet because the wheat crop had failed. Beyond all that, young Borlaug lives through the 1918 flu, the Great Depression, joblessness, a forest fire and very much more. 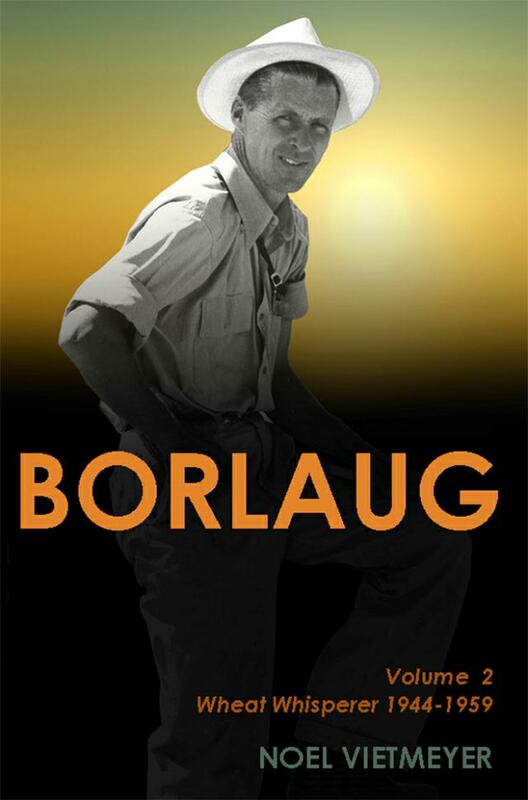 Borlaug is a biographical series detailing how humanity came ever so close to its greatest disaster. These volumes have been dubbed The World's First Cereal Thriller. Without the myriad twists and turns in a single scientist's career a sizable proportion of the human race would by now have starved. Winner of the Nobel Prize and the Congressional Gold Medal, Norman Borlaug is an inspiration whose story provides pertinent insights into the challenges facing the world today. BORLAUG; Volume 2, Wheat Whisperer. 1944 – 1959 exposes the amazing drama during the years in desperately hungry Mexico when Borlaug developed the wheats that ultimately saved millions from starvation. At the time, no one approved of his research and no farmer would plant his seeds. He has to fight to provide Mexico the food it needs. These pages feature numerous amazing incidents when, for instance, he nearly loses his life, nearly gets deported, and is forced to work out of a derelict research station in the Sonoran Desert with neither electricity nor sanitation but plenty of rats. In the end it is the farmers who become his greatest supporters and protect him from those who wish him ill. The text is lively and informative, and is supported by more than 60 photographs, most of them shot by a professional photographer who was on site during that era.